New Std. Electric Attitude Gyro 10-32v $2,495. Lighted and Autopilot Options available at additional cost. Come see us in Palm Springs at the AEA Convention Booth 1118! AVAILABLE NOW! Manual for ATTITUDE GYRO 300-14EL – CMM 6670-0300-0004 – PNs 504-0006-9xxxx. Call for details! Congratulations to our own Efrain Lopez as the 2018 AEA Member of the Year! 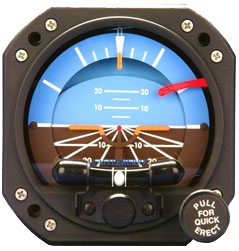 For 59 years, Castleberry Instruments & Avionics has been an industry leader in the overhaul / exchange, repair and manufacturing of aircraft instruments, avionics, and accessories for the General and Corporate Aviation community. Castleberry Instruments & Avionics is an FAA / EASA certificated repair station as well as a Production Approval Holder manufacturing TSO’d and PMA’d articles. Our excellence in building trustworthy relationships, meeting our customer’s needs and offering the best pricing, turn times, and warranty in the industry. Instrument repair, overhaul, and exchange. Avionics repair, overhaul, and exchange.